December 12, 2014 – BOSTON — Four years after Apple introduced the iPad and a floundering magazine industry latched on for dear life, consumers value digital magazines more than ever, have firm opinions on what they like about digital magazines – and are adamant that digital editions should cost less than print. 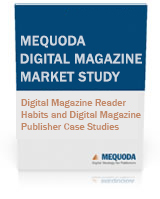 Those are just some of the conclusions drawn from Mequoda Group’s Mequoda Digital Magazine Market Study: Digital Magazine Reader Habits and Digital Magazine Publisher Case Studies, the second one the company has commissioned. While the 2013 study surveyed consumers who owned or had access to a tablet, this year’s study surveys 1,136 people who specifically read or subscribe to magazines on a tablet. The study is available for free download here. Mequoda Group, a multiplatform publishing consultancy, has become an industry leader in researching, documenting and understanding best practices for digital magazines. Last year the company broke new ground in the industry when it helped a client launch what is believed to be the first-ever web-based digital magazine edition, which allows the magazine to be read exactly like an app edition on a tablet but without restrictions by device or platform. And Mequoda’s new study shows that while the tablet publishing market is indeed still evolving, the overall trend is clear: Multiplatform publishing that includes tablet-friendly digital editions are still the future of magazine publishing. Whether a publisher’s revenue comes primarily from selling premium content or from selling advertising and sponsorships, there are substantial and growing revenue streams to be developed. 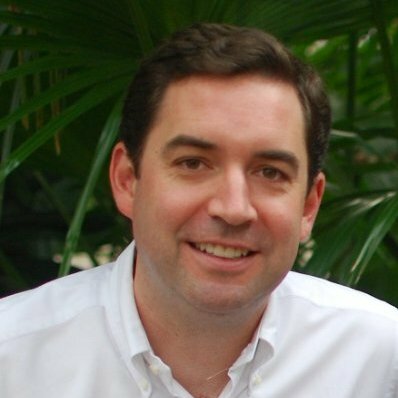 Adds Mequoda founder and CEO Don Nicholas, “Its becoming clear that a well done digital magazine can find a profitable place in a digital marketplace that runs the gamaut from Facebook to digital books and online courses. Not surprisingly, the study shows iPads are still the tablet of choice, though the study found Apple’s market share had slipped by 4% since last year’s study, while Amazon’s Kindle has gained the same 4%. What are these consumers reading on their iPads and Kindles? Email, by a huge margin, but also news reports, Facebook and books. Twenty percent of respondents said they read magazines every day, while a whopping 64% said they read magazines at least once a month. In order to do all that reading, these consumers reported that they’re spending more money than in the 2013 study. Thirty-nine percent of them spent more than $100 in the past year on apps. Respondents also were clear on what they want in a digital magazine: Scrollable text and clickable links. And while the industry is still excited about interactive advertising, readers put it at the bottom of their list. It is an open question whether that reflects less interest in interactive advertising or simply that they haven’t seen interactive advertising they find highly engaging. Two surprising results: The biggest reason they like having digital magazines is because it’s a greener alternative to print. And, unfortunately for publishers who are busy laying out large sums of cash to develop their shiny new digital magazines, these same consumers – 91% of them – believe digital editions should cost less than print. The report also offers four case studies of digital magazines, from their format to their pricing, to further illustrate the state of digital publishing. These include a look at a bare-bones replica in Black Belt magazine – which nevertheless manages to offer its advertisers a feature that no other digital magazine does – and Prime Publishing’s I Like Crochet, the web-based, universal-platform edition that Mequoda developed with them, and which is believed to be the first of its kind. Finally, the report delves into the nitty-gritty of creating digital magazines and publishing in different formats. The Multiplatform Magazine Strategic Planning Framework (SPF) outlines all the factors a publisher must consider when planning a digital magazine. These factors include everything from the different types of editions planned to software licensing costs for an app edition, to available advertising inventory per year to pricing, and from the number of email subscribers a publisher has to the percentage of renewals a publisher earns from app, print, web and combination offers. This SPF is designed as a tool for publishers to use in their planning and modeling of a multiplatform publishing business. Mequoda uses this framework, along with many others, in its work with both legacy publishers and startups. The polled group was randomly-selected and respondents were evenly divided across age groups and gender. Household income was largely over $40,000, and most had at least some college education. For questions about Mequoda Group and the Mequoda Digital Magazine Study, please contact Chief Content Officer Ed Coburn, 781.697.8387. Mequoda Group is a consulting firm specializing in multiplatform strategy for publishers. It offers proven services and software to help publishers develop and successfully implement plans to become integrated, multiplatform publishers with growing profitability and dramatically increased exit value. Tagged with advertising, Amazon, best practices, content, creating digital magazines, decoy pricing, digital magazine, digital magazine market, digital magazine market study, digital magazine publisher, digital magazines, digital publishing, email, Facebook, legacy publishers, magazine, magazine experience, magazine publishing, magazine reader, magazines, mequoda, multiplatform, Multiplatform Magazine, multiplatform publishers, multiplatform publishing, multiplatform strategy, premium content, publishers, publishing business, scrollable text, tablet, tablet publishing, tablet study, the new yorker.